For various reasons, it’s been a few years since the last significant change on the site, but this update qualifies as “change” any way you look at it. I’ve completed the initial migration of the site from static HTML pages to a database-driven site built on WordPress, a popular content management system and blogging platform, which will allow for much easier updates going forward. For now, most of the actual page content is unchanged, though there have been countless tweaks here and there and I’ve shuffled some of the pages around. I don’t intend to turn the site into a regular “blog”, but will try to do a better job of documenting updates and changes to the site, as well as whatever new information or resources I come across. I hope you enjoy the new site. I’ve been poking at this project a little bit at a time ever since the end of 2007 — it’s great to finally have it out in the light of day! But of course, if you run into any difficulties, please send me a note. 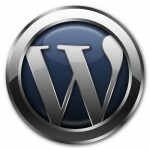 This entry was posted in Updates & News and tagged wordpress. Bookmark the permalink. Both comments and trackbacks are currently closed.